When someone mentions a Maori tour, it usually brings to mind thoughts of mass tours in Rotorua that consist of a performance following a hangi. 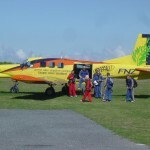 Maurice’s Maori Tour in Kaikoura, on NZ’s South Island, was completely different from these tours. Rather than being performed for, we were brought into the culture. Rather than being treated like tourists, we were treated like family. 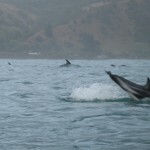 It was a personal, entertaining, and informative tour that everyone I talked to in Kaikoura raved about. The Seaward Kaikoura Range under cloud, as seen from the Maori pa. Pride shone in his eyes as he told us about his iwi. 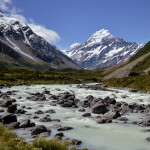 The Ngai Tahu is the largest tribe on the South Island and is descended from the son of Paikea, the legend of which you may know from the movie Whale Rider. A young boy, and the son of a nobleman, Paikea was the target of a vengeful half-brother tried to drown him and all of his brothers. He was able to escape on the back of a whale who took him to safety. 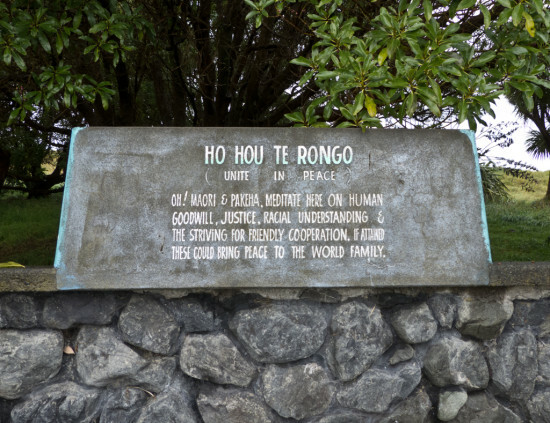 A sign telling the Maori and pakeha to unite in peace, seen at the pa on the Kaikoura peninsula. We were engrossed in this and other local stories as Maurice and Karen took us to the Maori pa (the old site of a village and defensive site) on the Kaikoura peninsula. 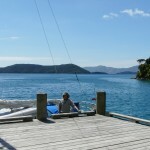 Here, rather than just telling us about the traditions of the Maori, we were able to witness them in action. One of the highlights was learning how to introduce ourselves. A sculpture of Maui as he pulls the North Island out of the sea. 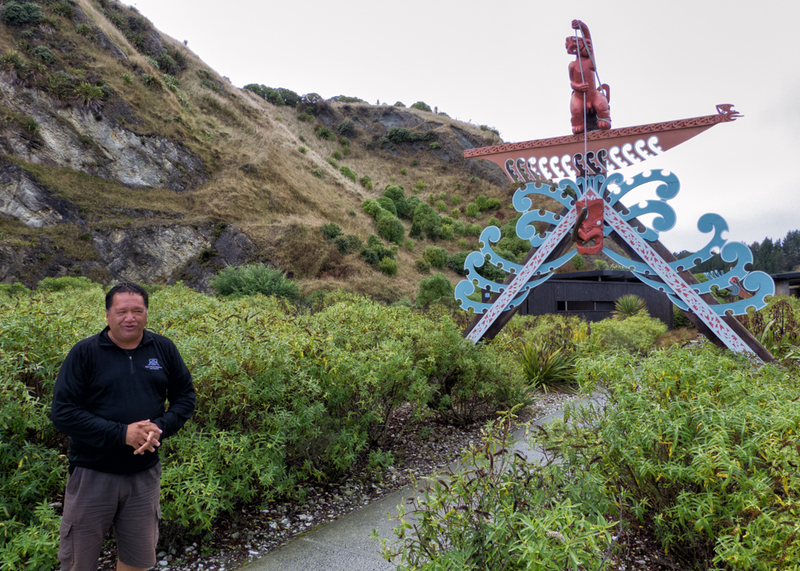 During a thoroughly entertaining discussion that included all of us being given our own Maori names, Maurice introduced us to the song that we were going to learn by the end of the tour. This was written out with English pronunciations on a laminated card for each of us. 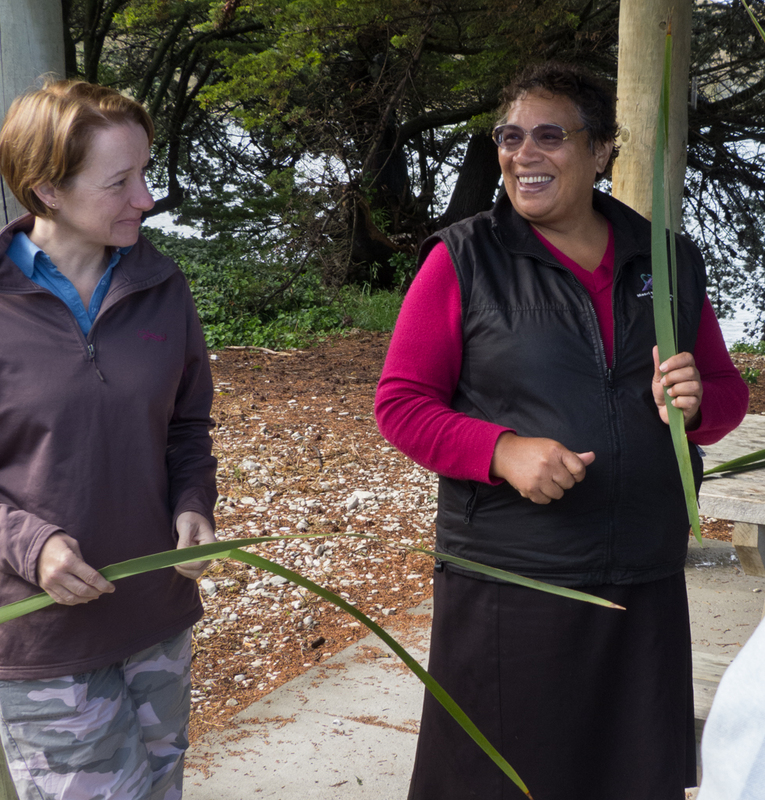 We all took a few stumbling steps towards learning it before heading back to the van to briefly stop at the marae, the traditional meeting house for Maurice and Karen’s tribe. 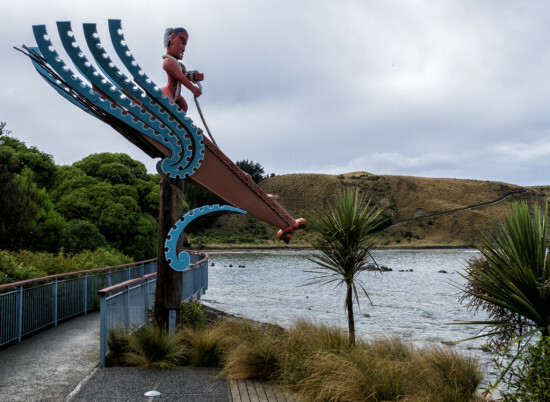 The Takahanga marae is still a spiritual meeting place for the Maori, so we were only able to view it from afar — and even this is only possible if there isn’t a gathering or event happening at the time. Maurice standing in front of the Maori carvings on the Kaikoura peninsula. On the other side of the peninsula from the marae stand a number of Maori carvings that I had seen on a previous trip to Kaikoura but had not fully appreciated. The carvings brought with them another round of engaging stories, especially the one of Maui pulling the North Island from the water. Maui is one of the more powerful characters of Maori legend. He is someone who both tamed the sun to stop him from racing across the sky too quickly and pulled the North Island from the sea (although he couldn’t stop his brothers from carving into this ‘fish,’ which accounts for the rugged coastlines and deep river valleys of the island). Karen happily showing us the flax we were going to weave. While Maurice was telling us about the carvings, Karen was collecting flax for weaving into flowers. This turned out to be a highlight for many. Karen’s fingers nimbly moved the leaves around, and we all clumsily followed along until we all had pretty flowers too. Everyone was incredibly proud of their artwork (even though I was a bit disappointed since I knew there was no way Australian customs would let me bring it home). Once we’d all demonstrated our artistic skills (or lack thereof), we went to morning tea at Maurice’s house, where we all introduced ourselves in the proper way to his wife Heather and his two grandsons, who introduced themselves completely in Maori (as Maurice and Karen had done). Being there and sharing their food really added to the feeling that we really were being treated as family. My final flax weaving result. Not too bad! Every time we had climbed into the van that morning, we had practiced the song that Maurice gave us at the pa. His living room was where we got to put on our grand performance as we all sat in a circle singing as Maurice strummed his guitar. It was yet another thing for us to be proud of. Heather even said we were the best group she’d heard today (ha ha). Stuffed full of teatime treats, we got back into the van — without the singing this time — and headed towards the Puhi Puhi Valley to the north of Kaikoura. This valley was a target of loggers in the early 1900s but some parts, such as the forest near the children’s school (which is now only a lonely foundation) are still just as they were before the pakeha (people of European descent) arrived. 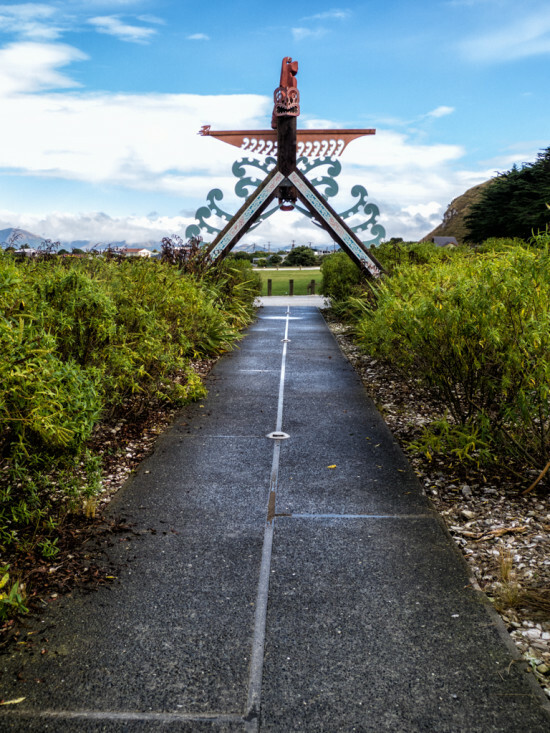 The walkway leading out of the Kaikoura Peninsula track underneath one of the carvings. 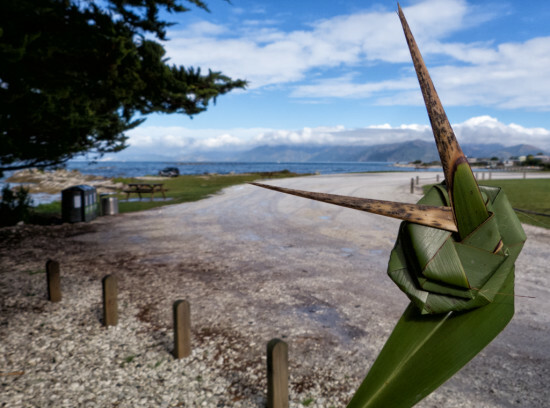 It was here that we got to immerse ourselves in the natural side of Maori culture, learning about leaves and trees and their significance to the Maori people. 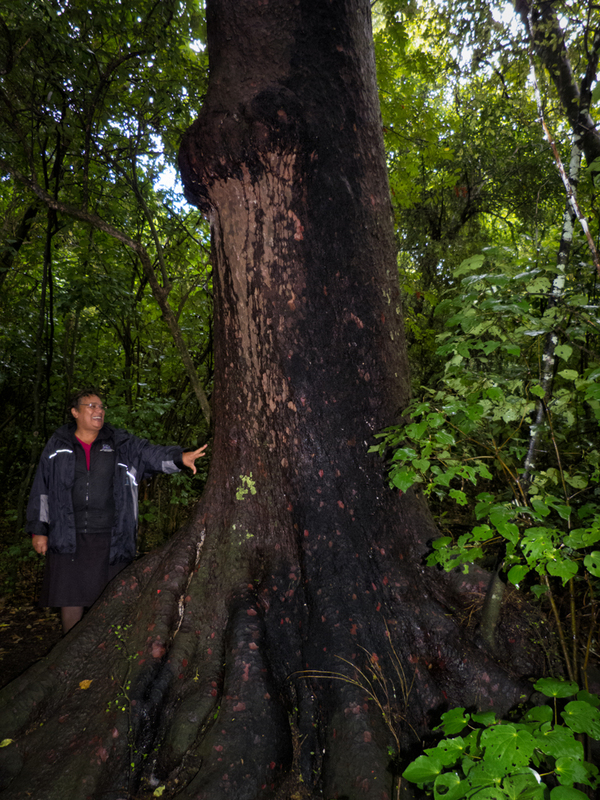 We saw some very impressive trees, including totaras that were hundreds of years old. At the base of a few of these trees, we stopped and sang our song again in appreciation of their shelter and beauty. I can’t give justice to just what a great tour this was in a single post. The events and legends that are important to the area would easily be three or four times this length if I wrote them all down — and that’s just the ones I can remember! Karen showing us one of the many massive trees in the forest. Yet the tour was great not because we were given all this information, but because of the way it was imparted. Maurice and Karen are very proud of their culture and are very willing to share it with everyone. The way they shared this information was immersive and was head and shoulders above any other cultural experiences I’d had in NZ on previous trips. I left feeling like I needed to come back and just sit down with Maurice for a day and listen to his stories, to absorb them all like a sponge. Hopefully one day I’ll get that chance. My trip with Maurice’s Maori Tours was sponsored as part of the Wotif Canterbury Tiki Tour, but all opinions stated here are my own. Maurice’s trips last about 4 hours and run twice daily (at 9am and 1.30pm). A spot on the tour costs $134 per adult/$74 per child.